The new Avenger 180 rolls in to replace the Avenger 150 as Bajaj’s entry-level cruiser and, aside from the engine, has a few more new features for 2018. The most obvious visual update is the fresh headlamp design, incorporating LED daytime lights for an interesting signature. The tail section has also been reworked, smartly incorporating the fresh, sleek tail-lamp and giving this machine a contemporary rear end. The single-pod round speedometer includes a small digital display for odo and trip meters, and fits in perfectly with the cruiser theme. 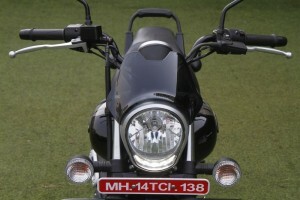 Other minor changes include new graphics and paint scheme, the proud 180 decal on the side panel, a padded grab-rail for the pillion, and a textured seat. 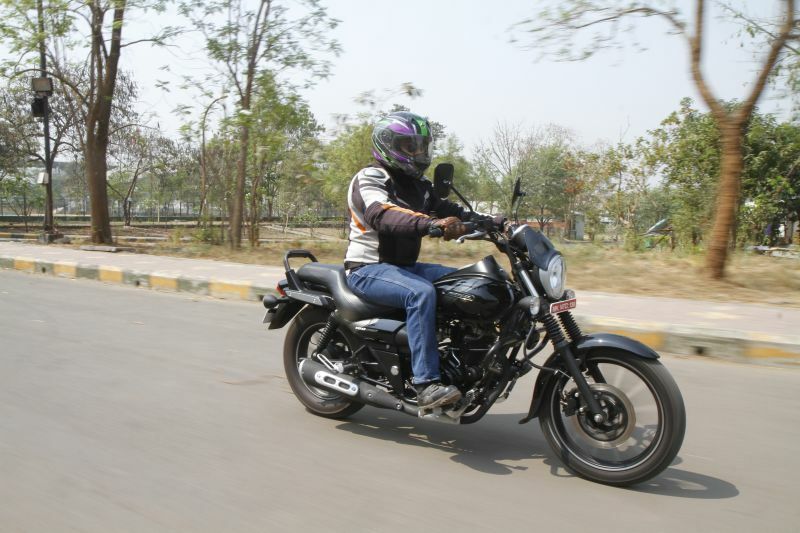 Bajaj have also taken into account feedback received from customers regarding the ride quality, and have increased rear suspension travel by 10 mm, from 98 to 108 mm, considerably improving the bike’s ability to handle less-than-perfect roads without getting out of shape. The brakes have also been improved, with the front disc increasing in size by 20 mm to 260 mm, although the rear wheel still gets a 130-mm drum. The new engine is, of course, the star of this update. It makes 17 PS at 8,500 rpm and 14.2 Nm of torque at 6,500 rpm in the Pulsar. In the Avenger, this unit has been retuned to make 15.5 PS and 13.7 Nm, again at 8,500 and 6,500 rpm respectively. 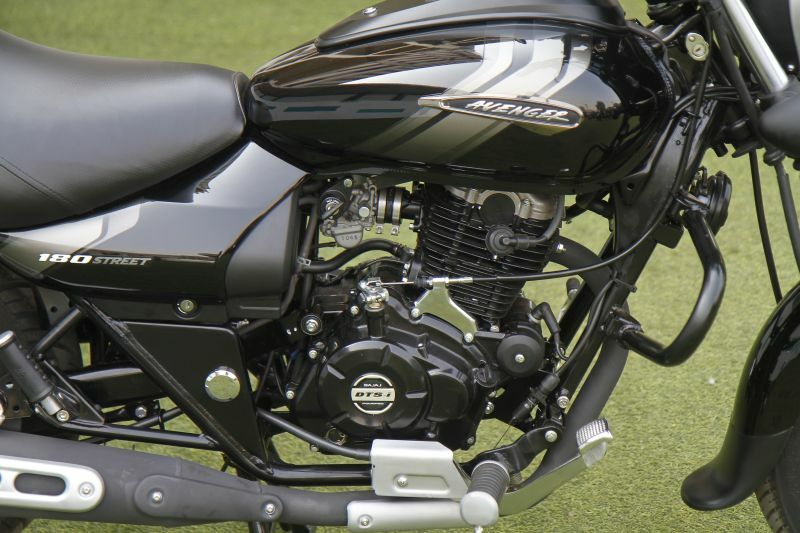 Bajaj claim that this has been done to rein in the high-strung nature of this engine, making it more laid-back and suitable for the cruiser role. We recently spent a day with the new Avenger 180 Street, and were pleased with the tractability and flexibility of the engine. There is enough grunt on tap to pull from as low as 40 km/h in top gear all the way up to triple-digit speeds, and the five-speed ‘box is smooth and didn’t miss any shifts during our ride. Bajaj have done a good job with this update, giving the entry-level Avenger a larger heart, a modern face and even working towards improving ride quality. 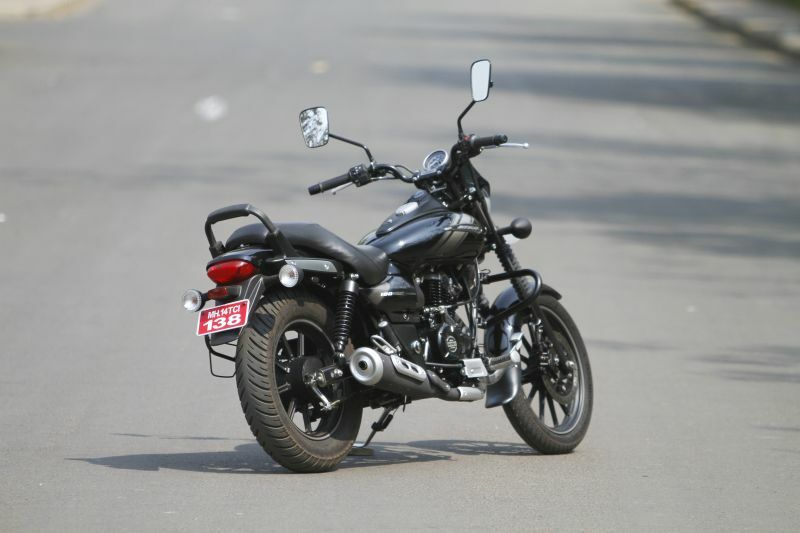 Priced competitively at Rs 85,498, the new Avenger 180 Street makes a compelling case for itself. 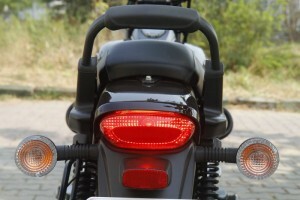 If you want to know more, read our First Ride report of this motorcycle in the April issue of Bike India.